The rapid conversion of natural lands to cement-dominated urban centers is causing great losses in biodiversity. 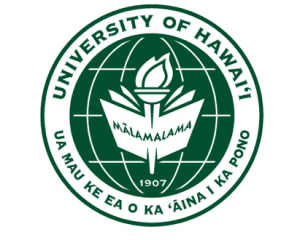 But Chris Lepczyk, an associate professor in the College of Tropical Agriculture and Human Resources at UH Mānoa, is a contributor to a new study showing that surprisingly high numbers of plant and animal species persist and even flourish in urban environments—to the tune of hundreds of bird species and thousands of plant species in a single city. Contrary to conventional wisdom that cities are a wasteland for biodiversity, the study, involving 147 cities worldwide, found that while a few species—such as pigeons and annual meadow grass—are shared across cities, overall the mix of species in cities reflects the unique biotic heritage of their geographic location. The study, titled “A global analysis of the impacts of urbanization on bird and plant diversity reveals key anthropogenic drivers,” was conducted by a working group at UC Santa Barbara’s highly respected National Center for Ecological Analysis and Synthesis (NCEAS) and funded by the National Science Foundation. Its findings were published in February in the Proceedings B, a journal of the Royal Society of Biological Sciences; were highlighted in the April 3 issue of the prestigious science journal Nature (http://www.nature.com/nature/journal/v508/n7494/full/508011f.html); and have been featured broadly around the world. The study highlights the value of green space in cities, which have become important refuges for native species and migrating wildlife. This phenomenon has been named the Central Park Effect because of the surprisingly large number of species found in New York’s Central Park, a relatively small island of green within a metropolis. Unlike previous urban biodiversity research, this study looks beyond the local impacts of urbanization and considers overall impacts on global biodiversity. The research team created the largest global dataset to date of two diverse taxa in cities: birds (54 cities) and plants (110 cities). Findings show that many plant and animal species, including threatened and endangered species, can flourish in cities, even as others decline or disappear entirely. Cities with more natural habitats support more bird and plant species and experience less loss in species as the city grows. Overall, cities supported far fewer species (about 92 percent less for birds and 75 percent less for native plants) than expected for similar areas of undeveloped land. “While urbanization has caused cities to lose large numbers of plants and animals, the good news is that cities still retain endemic native species, which opens the door for new policies on regional and global biodiversity conservation,” said lead author and NCEAS working group member Myla F.J. Aronson, a research scientist in the Department of Ecology, Evolution and Natural Resources at Rutgers, The State University of New Jersey. The human experience is increasingly defined within an urban context, the authors noted. They maintain it is still possible for a connection to the natural world to persist in an urban setting, but it will require planning, conservation and education. “This group’s synthesis of data on plant and urban plant and animal diversity should be of broad interest to ecologists as well as urban and landscape planners,” said Frank Davis, NCEAS director.